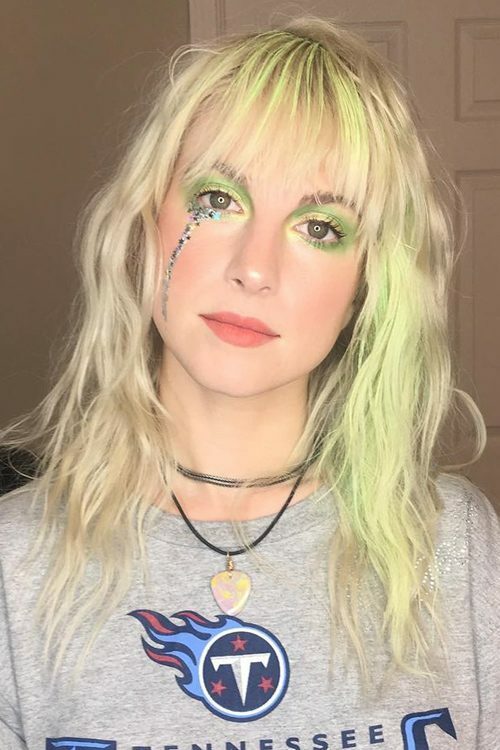 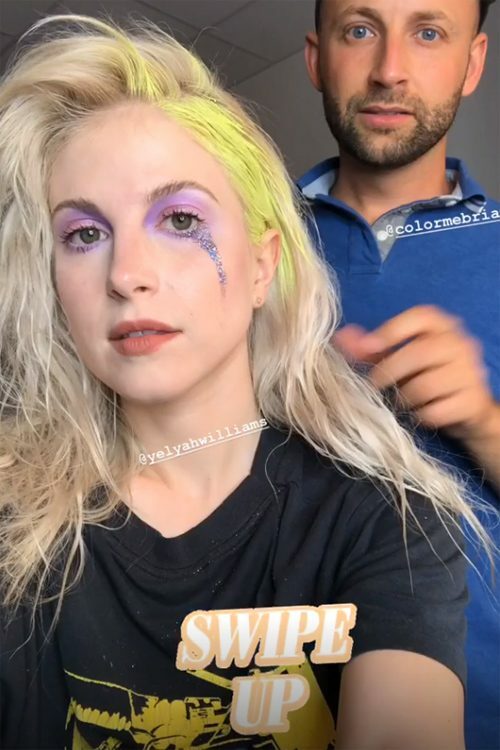 Hayley Williams and @colormebrian created a simple yet versatile look by adding goodDYEyoung Poser Paste Steal My Sunshine ($18.00) neon green highlights to Hayley’s blonde hair. 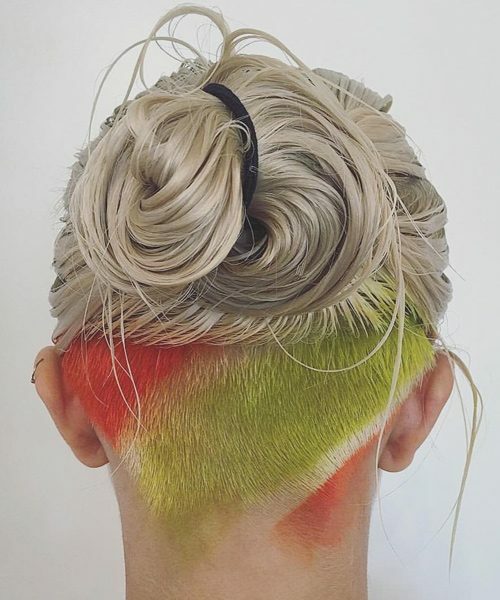 Hayley Kiyoko painted her undercut hair in multiple colors. 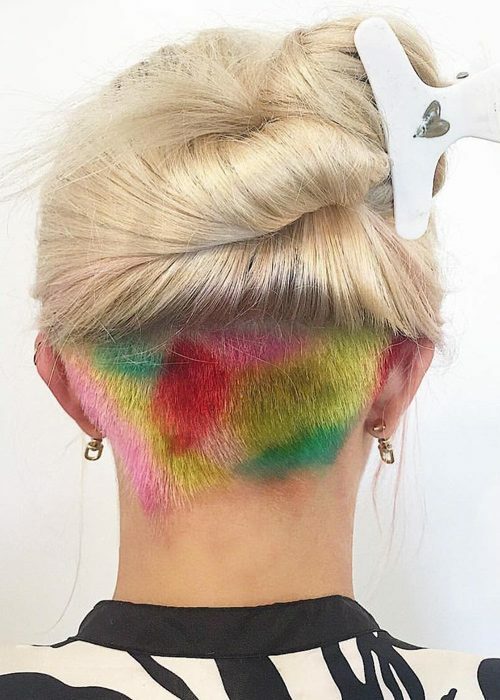 Melanie Martinez Performs ‘Pity Party’ Live in the Billboard Studio. 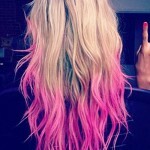 Nicki Minaj wears blonde wig with green highlights in the “Beez In The Trap” video ft. 2 Chainz. 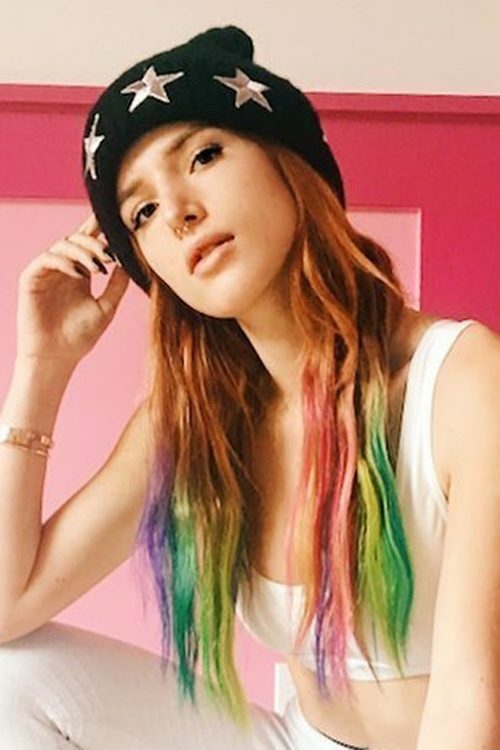 Bella Thorne wearing rainbow locks hairstyle. 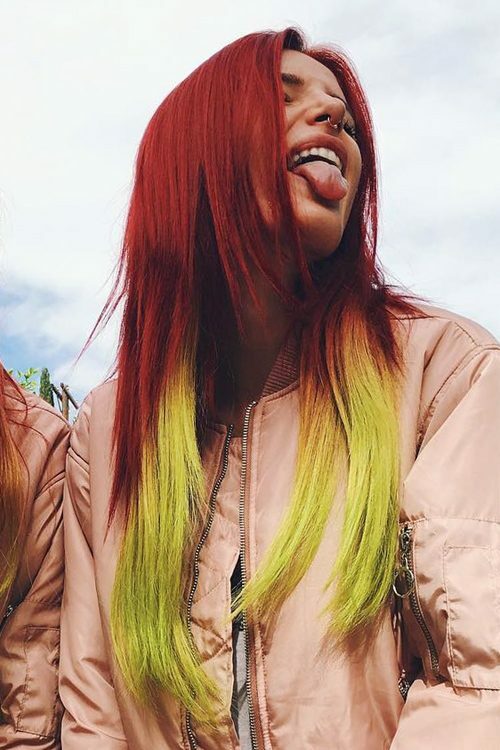 Bella Thorne dyed her hair in red and green color.